Your Solar Install Shouldn't Break the Bank! We use aerial imaging software to measure your roof and specify the right solar panel package for you at the most affordable price. Our consultants use their expert product knowledge and combine it with your site specific details and budget to develop a solar power package that meets your needs. 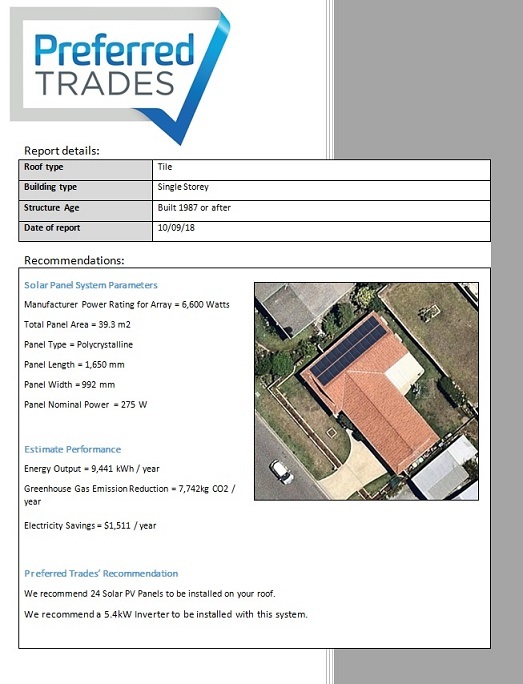 We will provide you with a detailed solar power quote including a satellite image of your property with our recommended layout and configuration options.